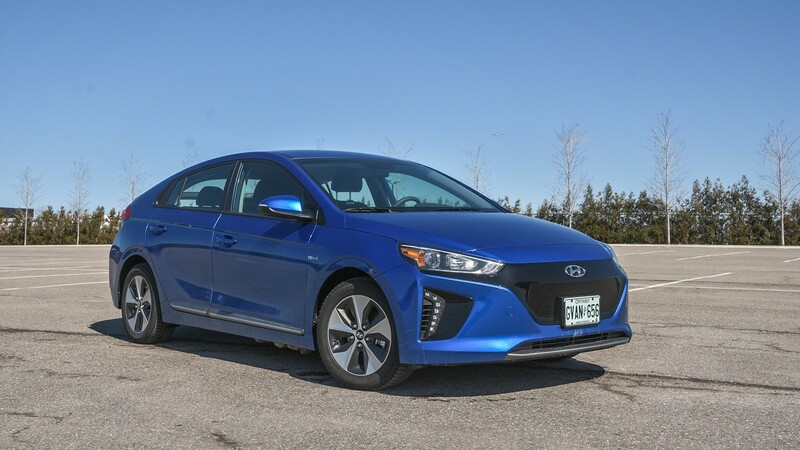 Milton Hyundai > Hyundai Ioniq > 2017 Hyundai Ioniq: Driving this makes you wonder why we still drive gasoline powered cars. 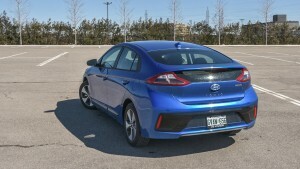 2017 Hyundai Ioniq: Driving this makes you wonder why we still drive gasoline powered cars. It was in the middle of a bitter cold snap that I was scheduled to pick up the Ioniq Electric from Hyundai’s Markham (just north east of Toronto) head office. An EV in -15 degrees Celsius would be interesting, and every bit an important test of what it would be like for Canadian buyers considering one. In typical winter weather fashion, the Hyundai PR person and I had to clean snow off the car before getting into it. Once inside, finding the heated seats and heated steering buttons were easy (hint: it’s where Hyundai usually puts it). Within seconds I could feel the ice cold steering wheel starting to warm up. I was told to put the climate control in automatic, something I rarely do citing how unintelligent auto climate control is. Not the case in the Hyundai Ioniq Electric. We had set the temperature to a happy 21 degrees, but the fans didn’t kick on at full clip; the system was waiting for the heater core to warm up so as not to pump cold air into the cabin. Things were looking promising. In today’s economy, driving an electric vehicle is still a lifestyle choice. You need to look forward at what your weeks, months, even years ahead will look like in order to make a sound decision on an EV. While the 2017 Ioniq Electric makes a strong case for embracing EVs, let’s take a look at who this is for, and who it isn’t.